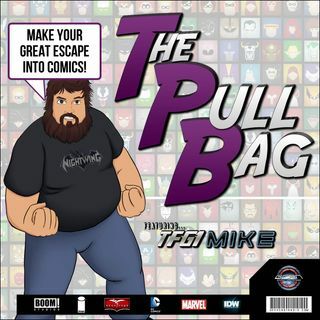 In Episode 309 of The Pull Bag join TFG1Mike and Doug Abel from Talkin' Bout My Generation as they dive into the FUNKO UNIVERSE! That's right we are all about the FUNKO POP comic trade from IDW this week! With stories featuring the Ghostbusters, the X-Files, Judge Dredd, the TMNT, and even Strawberry Shortcake... you are gonna pop for this cool comic miniseries! Listen in as the hosts talk about the comic, and their FUNKO POP collections, and collecting these vinyl figures. As always ... See More Make Your Great Escape Into Comics!! !